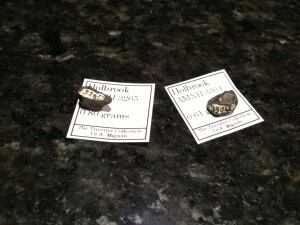 This is 1 of 27 approved meteorites classified as L/LL6 and fell in 1912. Holbrook peas from the American Museum of Natural History (AMHN) with AMNH painted numbers. All specimens are listed in the catalogue of Reeds (1937).